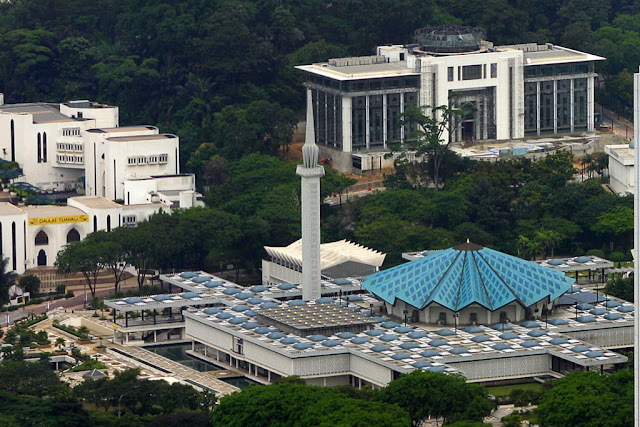 National Science Centre, Bukit Kiara in Kuala Lumpur. 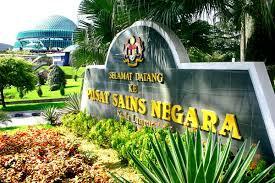 National Science Center is another important location for sightseeing in Kuala Lumpur for educational tour. It is built on hilly terrain with a land area about 8 hectares located in Bukit Kiara. 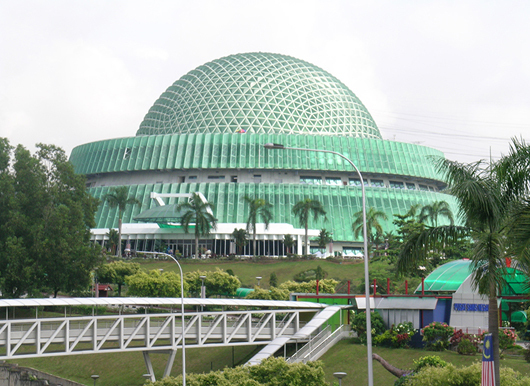 National Science Centre was officially opened by former Prime Minister of Malaysia, Tun Dr. Mahathir bin Mohamad on 29 November, 1996. National Science Center (NSC) has more futuristic architecture than any museums or other exhibition centers in Kuala Lumpur. In addition it has nine galleries featuring various themes related sciences in order to help crating public interest to science. 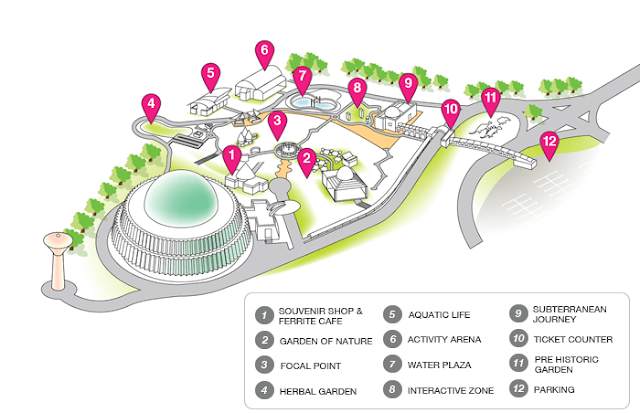 It is an important venue for students because it is equipped not only with its unique exhibits, but also Taman Pendidikan Sains (Science Educational Park) which houses numbers of animals such as deer, rabbits, chickens, ostriches and others. 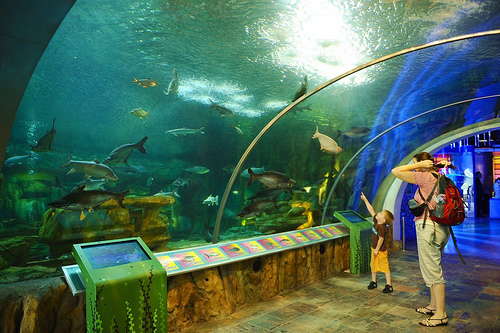 There is also an aquarium to expose visitors to aquatic life. The entrance to the National Science Centre. Aquarium here different than in Aquaria, KLCC. It is open daily from 9: 00 - 5: 00. Layout map of National Science Center, Kuala Lumpur. The center is temporarily closed for renovation.